The SAAA and its Members have some very serious obligations to be safe whilst participating in a sport that we love – but at the same time, we are a Community that enjoys very much what we do – it is a pleasure to build aircraft and fly them. And we like to enjoy each other’s company and have aviation fun! The SAAA offers our Members a vibrant spirited community where fellow aviators help and support each other through their builds and flying operations. This Community is built around a network of some 30 Chapters located around the nation – these are the hubs where Members catch-up, build together, fly together and simply enjoy each other’s company. Each Chapter runs a number of events over the year from social gatherings and BBQs to educational events, and fly-ins. We also have a team of Regional Chapter Co-ordinators, who operate in most States, to bring together individual Chapters and promote joint events and education. This is the spirit of SAAA! We encourage all SAAA members to belong to their local Chapter wherever possible. Chapter membership brings builders and potential builders together and encourages the exchange of knowledge and often that spark of motivation. 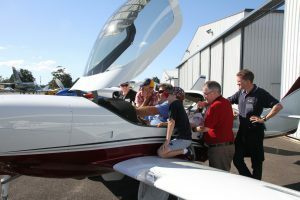 Many questions that builders, or potential builders, have can be answered by local Chapter members who between them possess an extraordinary wealth of real practical experience and knowledge around just about anything sport aviation. If they can’t help, or you need more information, someone will be able to point you in the right direction, whether it be websites, forums or actual personal contact. Effectively, Chapters become your personal local knowledge base. Chapters also host many educational events – builder’s nights, hangar talks and other – these are all simply part of the SAAA community spirit. 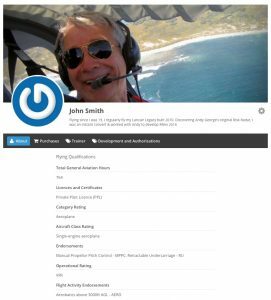 Here you will find all you need to manage your personal, aircraft, flying qualifications, training and membership status details and more. 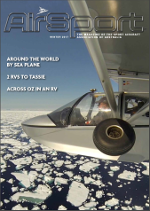 SAAA has its own publication, AirSport. This is mailed to members quarterly, and contains information about what is going on around SAAA, safety and technical articles, features of members’ build projects, reports from events and fly-ins, classifieds and much more. The cost is included the standard annual membership fees. 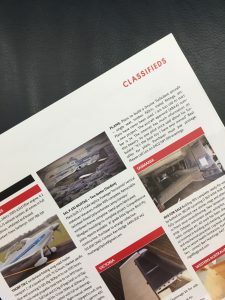 The quarterly publication of AirSport is a great opportunity to sell, buy, lease or look for anything to do with anything that flies! This service is free to SAAA Members – just send your requirements to “General Enquiries” via our contact form Contact Us! Non-Members are welcome to place advertisements in AirSport Classifieds – just go to the SAAA online Shop, place your order and forward your requirements to “General Enquiries” via our contact form Contact Us!